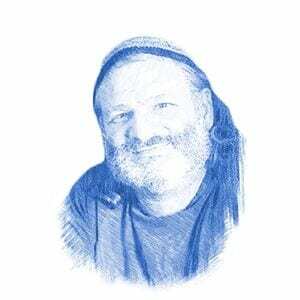 Christian Archaeologist Battling For the Bible’s Truth In Israel - Breaking Israel News | Latest News. Biblical Perspective. 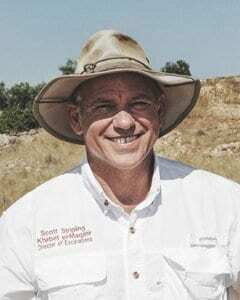 Dr. Scott Stripling, provost at The Bible Seminary in Katy (Houston) Texas, has been sifting the sands of Israel for over 20 years. Using the Bible as a guidebook he is now digging in Shiloh, which he surmises may be the true site of the Tabernacle. However, some of his fiercest critics are Israeli archaeologists who claim the Bible cannot be relied upon to tell historical truth. The ABR team also uncovered a ceramic pomegranate, a motif that has been found at other sites connected with the priests. Sadly, definitive proof of the Tabernacle may never materialize. Prof. Israel Finkelstein, a prominent Israeli archaeologist who led the dig at Shiloh in the early 1980’s, disagrees with Stripling and does not concur that the Biblical description of the Tabernacle is historically accurate. Unlike Stripling, Finkelstein said that a lack of physical evidence is proof that the Jewish Tabernacle never stood at Shiloh. Stripling is at odds with Finkelstein and many other Israeli archaeologists over the site, but more importantly, over a greater issue that touches on the entire discipline as it is practiced in Israel. Stripling uses the Bible as a historical guidebook. Dr. Stripling addressed this very issue in his book, The Trowel and the Truth. He explained that the dispute is framed as minimalism versus maximalism. This has indeed set him at odds with his peers in Israel. Stripling speculated that there could be several causes of this anti-Bible approach in the world of Israeli archaeology.